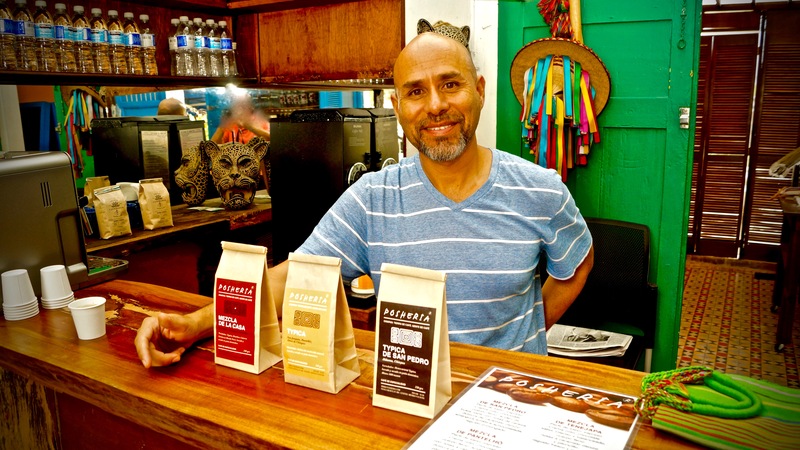 Owner Julio de la Cruz opened his first store in 2010 in San Cristóbal de Las Casas, Chiapas, and then opened another location on the chic Paseo de Montejo in Mérida in 2015. 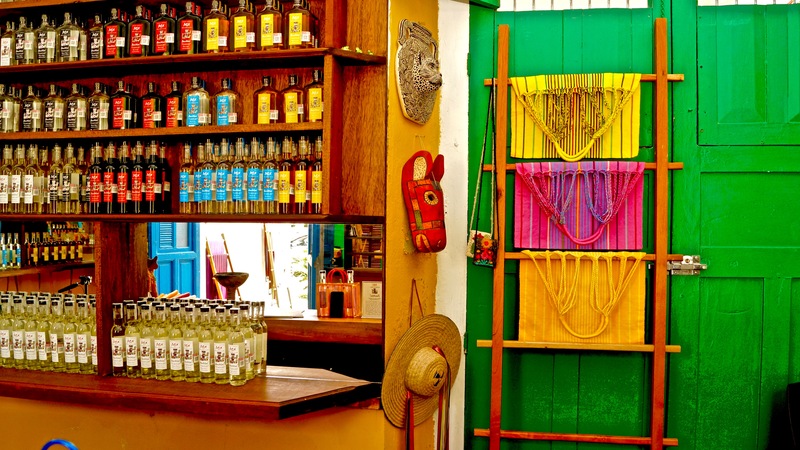 The store also carries hand-woven tapestries and bags made from maguey (an agave plant), hand-made wood carvings and ceramics (jaguars seem to be a specialty), as well as a huge selection of pox (pronounced: posh), a traditional Maya liquor made from corn. 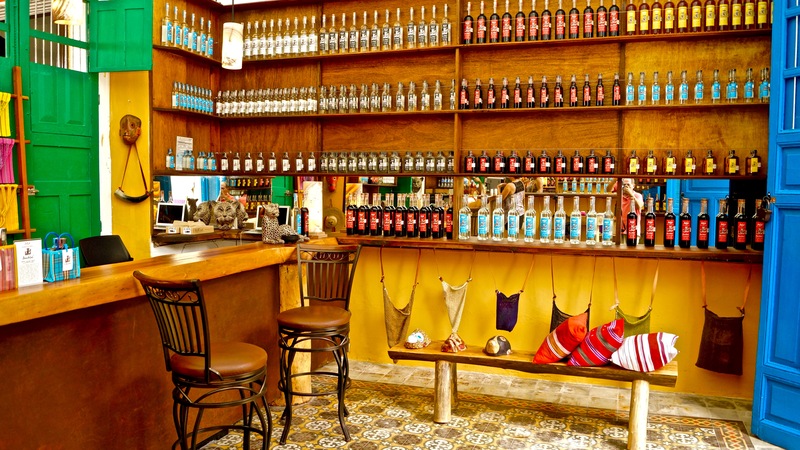 All of his store’s stock is fair trade that benefits the economy of Chiapas’ coffee growers and artisans. Bottles of pox, tapestries, maguey bags, ceramics, and hand-carved crafts. I had never heard of pox before. According to Julio, the Maya considered it a mystic concoction, and used it for celebrations and spiritual occasions, or as he explains it “Pox: Destilado de Maiz. The traditional drink of the indigenous communities of Los Altos de Chiapas. This distillate is considered the bridge between the material and spiritual world and every sip serves a purpose: joy for the holidays, elixir to heal the body and balm for the soul.” Julio operates a pox distillery in Mérida…the only source of licensed, tax-stamped pox in existence…it generally coming from rustic distilling in the Chiapas Highlands. Depending upon which flavor you chose, it makes either a great aperitif or digestif…drunk chilled in a small glass like sherry or port. 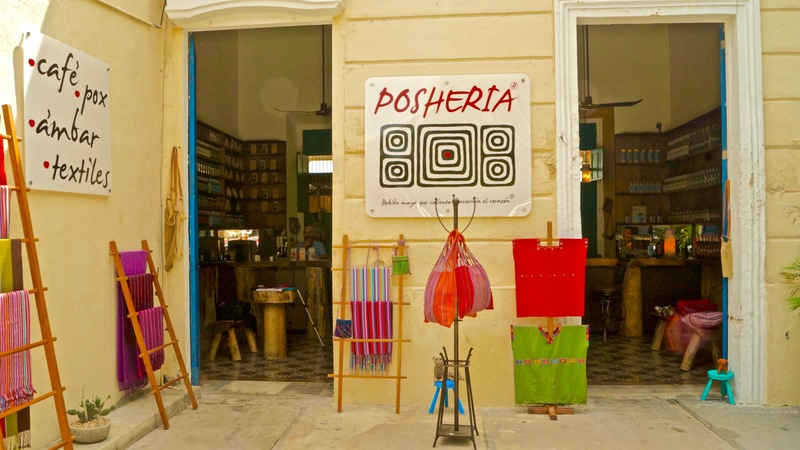 Posheria is a really interesting store to spend some time browsing…have a coffee…and sample a taste of pox. It’s at Paseo de Montejo #486, Centro Histórico in Mérida…near the end of the street where it loops around. I’ve never been there without buying something. 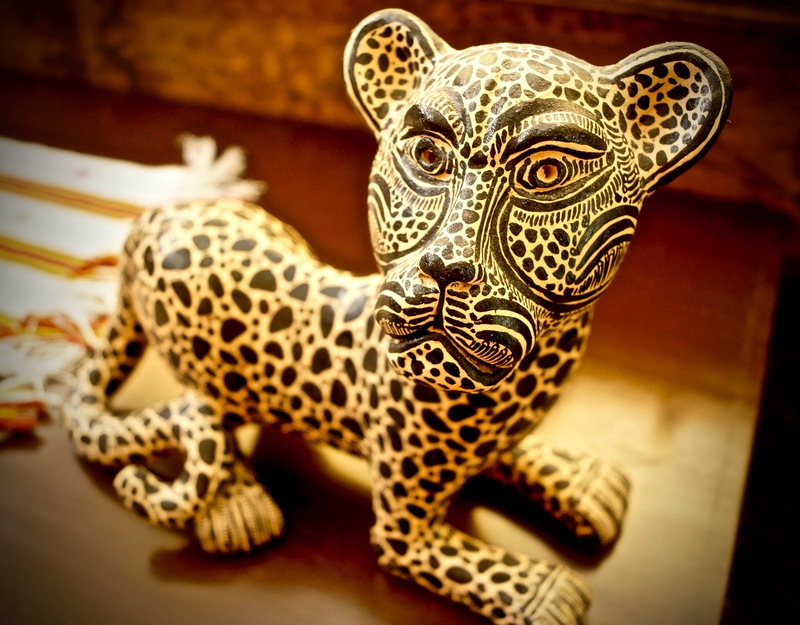 In fact, today I bought that little jaguar in the thumbnail photo at the beginning of this editorial. The Tsotsil indigenous people of the Chiapas Highlands say “bankilal” (brother) in lieu of “cheers.” So….bankilal! PS: if you drop in, tell Julio you saw the blog post.